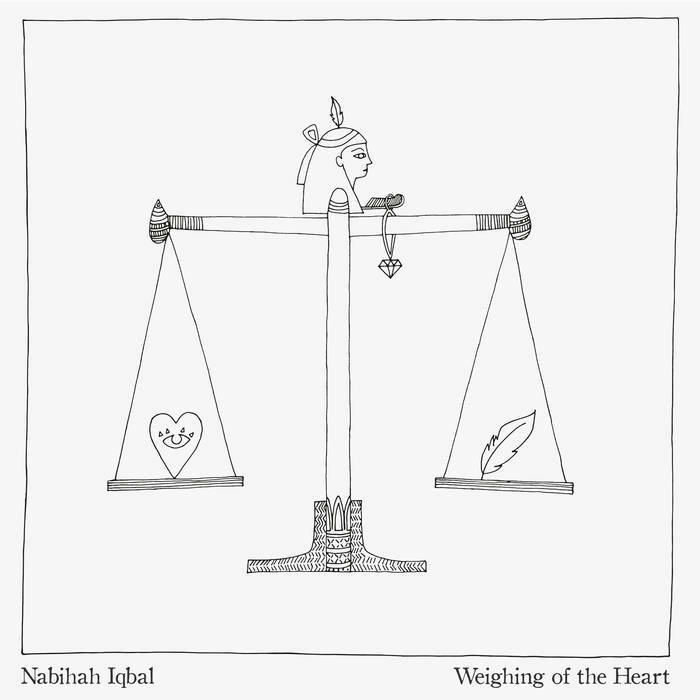 “Something More”, the lead single from Nabihah Iqbal’s début full-length release “Weighing of the Heart”, captures the sweet spot of synth-pop goodness with its hushed in the mix vocals and inviting bass line. Formerly known as “Throwing Shade”, Iqbal creates a cross-genre opportunity for the body to sway unconsciously. While an incremental guitar picks along a melody reminiscent of early incarnations of The Cure. This invitation to uninhibited movement plays in direct contrast to her lyrics which ponder the human condition of never being satisfied with “what you’ve got”. “Weighing Of The Heart” mines the essence of the Post-Punk genre and its close relationship to House and Electro. These existential situations she writes about are being worked out to a rhythmic conclusion. With gleaning guitars and ambient synth tones leading the way, tiny orbs of influence from mid-’80s Chris & Cosey can be heard levitating gently above this new movement of yesterday’s synth-pop lullabies. This shimmery record, that focuses on the origins of dance floor 4/4 machinations, is ambitious in scope and devastatingly intuitive with its handling of how genres borrow from and meld into one another. Similar to Laurel Halo’s “Dust” from earlier this year, Iqbal uses the human voice as just another instrument from her vast producer’s bag. It’s a tool, not THE tool. The album was mixed by Studio 13’s Stephen Sedgwick, who works closely with Damon Albarn and mixed the most recent Gorillaz album “Humanz”. Nabihah Iqbal has hosted a bi-weekly DJ show on London’s NTS since 2013 that explores the musical traditions of different countries. Her “Throwing Shade” moniker was created during her youth while DJing at underground parties, claiming “it was a name for the scene at the time”. But now with a career in making music, it is time to use her born name, standing proud as a female British-Asian artist. Playing all the instruments on this release further cements that personal and artistic growth.